Ultrasonic-assisted magnetic abrasive finishing (UAMAF) is an advanced abrasive finishing process that finishes a workpiece surface effectually when compared to a traditional magnetic abrasive finishing process in the order of nanometer. A change of surface roughness and material removal rate are two important factors determining the efficacy of the process. These two factors affect the surface quality and production time and, thereby, a total production cost. The finishing performed at higher material removal rates leads to a loss in shape/form accuracy of the surface. At the same time, increasing the rate of change of surface roughness increases loss of material. For an optimized finishing process, a compromise has to be made between the change of surface roughness and the material removal (loss). 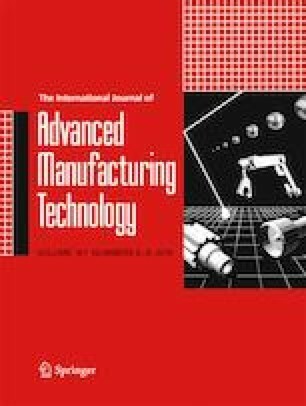 In this work, a multi-objective optimization technique based on genetic algorithm is used to optimize the finishing parameters in the UAMAF processes. A fuzzy-set-based strategy for a higher level decision is also discussed. The results of the optimization based on a mathematical model of the process are validated with the experimental results and are found to be in compliance. Funding was from the Engineering and Physical Sciences Research Council (UK) through grant EP/K028316/1 and Department of Science and Technology (India) through grant DST/RC-UK/14-AM/2012 for project “Modeling of Advanced Materials for Simulation of Transformative Manufacturing Processes (MAST)” .